Aloha! Hawaii, we had been dreaming of it for a while and here we are. 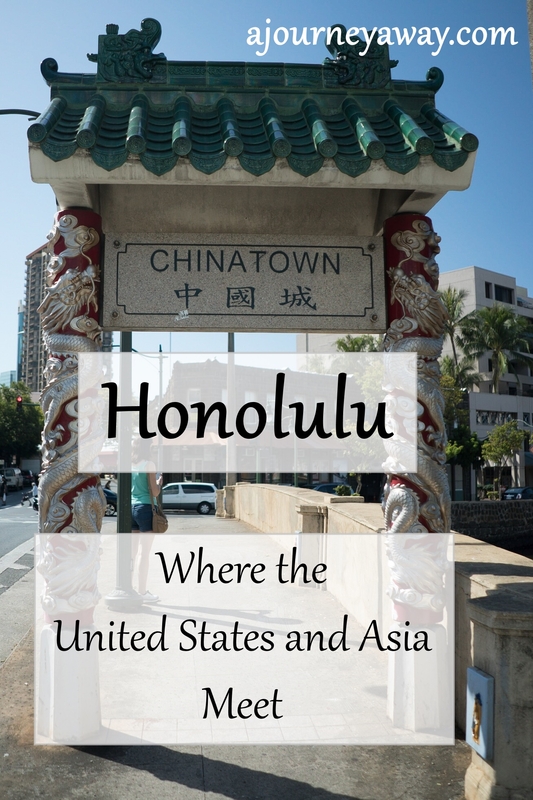 The discovery of the island of Oahu starts in Honolulu with a walk to Chinatown on the first day. None of us being born with a gps option, we are religiously following the map with our itinerary: our accommodation, downtown and Chinatown just a little bit more to the North, easy. This time though, google maps is failing us and we end up in unattractive streets. We have to ask for directions to finally arrive… downtown. 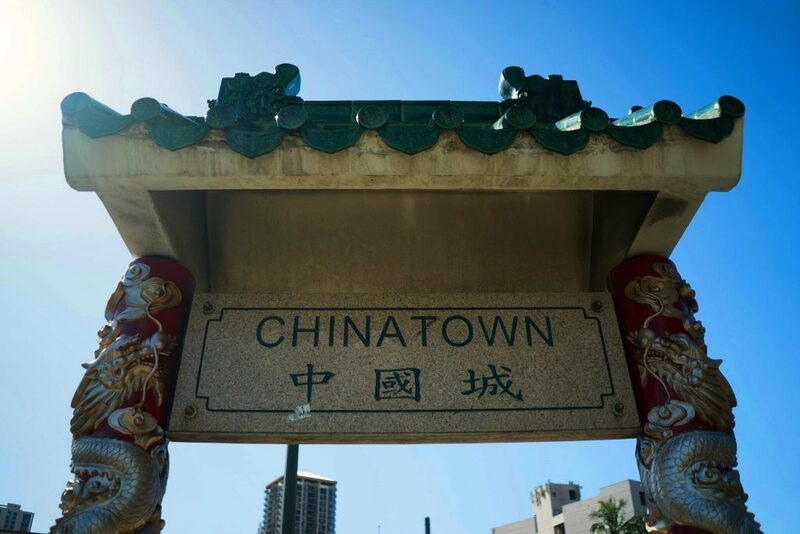 Honolulu so-called downtown is actually Chinatown, the tone has been set! A few days later, we decide to take a hike to Manoa falls, famous touristic sight in the area of the Hawaiian capital. On our way to catch a bus back, we walk in a typically American residential area. 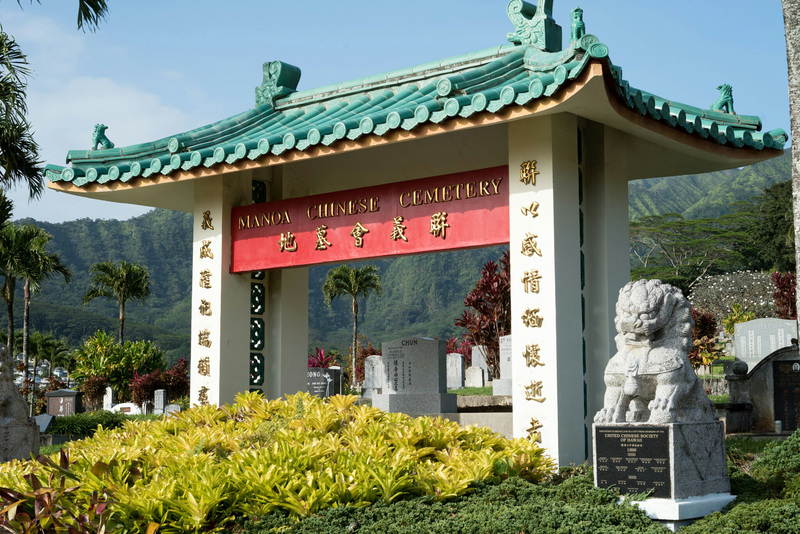 At the corner of a street, we stumble upon a Chinese cemetery. 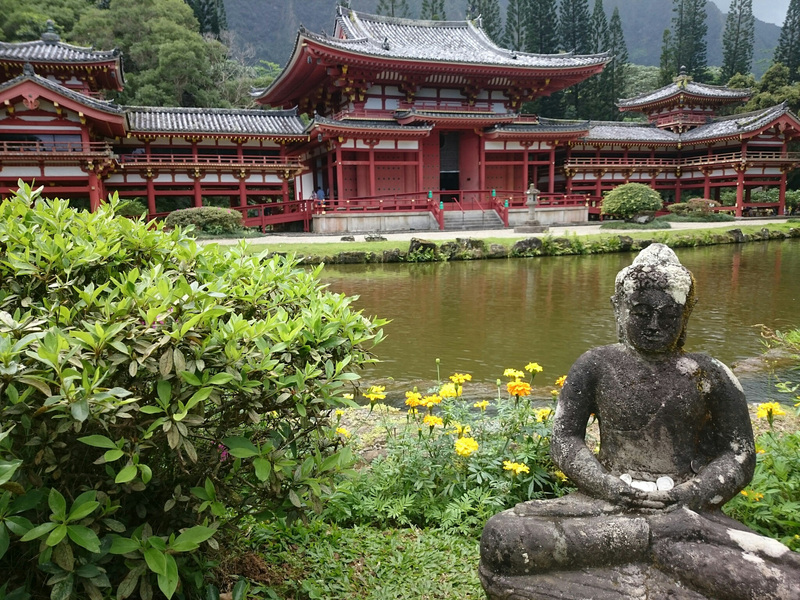 Just a bit farther on the West coast, we also visit a beautiful Buddhist temple, the Byodo-in temple, replica of a Kyoto temple, built to commemorate the hundredth birthday of Japanese arriving in Hawaii. Before coming here, I knew little about the Hawaiian culture (except maybe the Polynesian roots). Knowing that it is an American state, I hadn’t really ask myself any further questions. 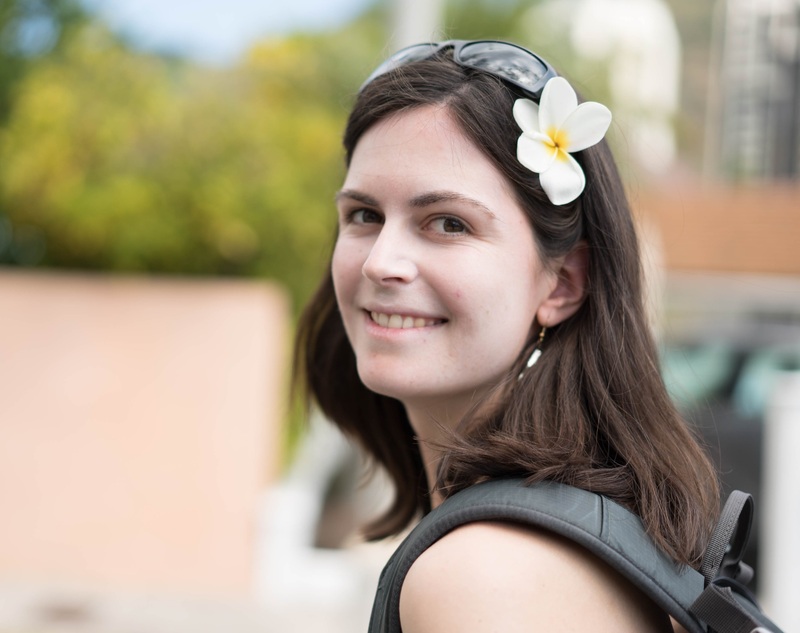 It didn’t take me very long to find out, with more or less surprise, that Asian influence is particularly significant in Hawaii and especially in Honolulu. Not that surprising actually since from a geographic point of view only, the island represents a bridge between Asia and the US mainland. In Honolulu, just over half of the population is composed of Asian Americans, a majority of which is Japanese. Not to mention tourists! We lost count of Japanese couples taking pictures in front of a sunset with a photographer – Hawaii has to be one of the most popular destinations for honeymoons, and we totally understand why! Asian immigration started even before the archipelago became an American state, which is deeply rooted in the culture today. 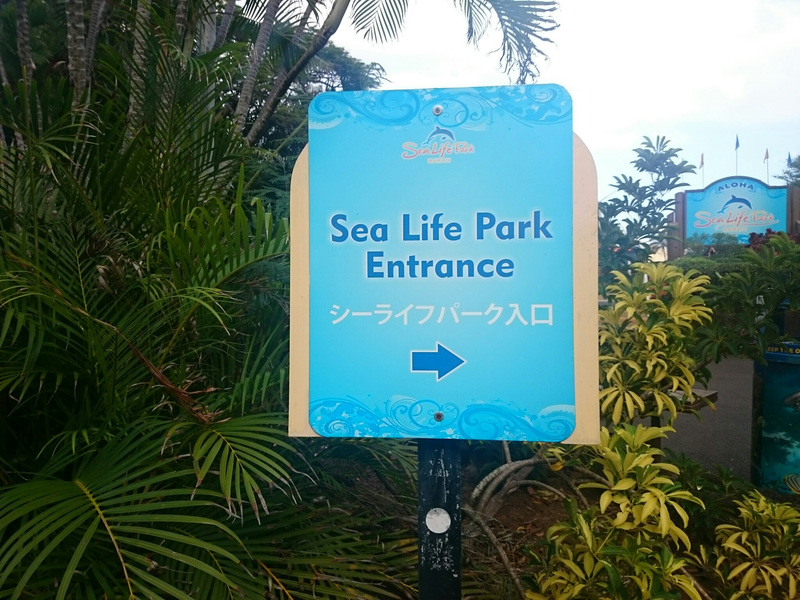 In addition to the numerous Asian restaurants (actually rather normal whether it is in America or in Europe), it is not uncommon to see information signs, in the bus or in the street, in English and in Japanese and/or other Asian languages. 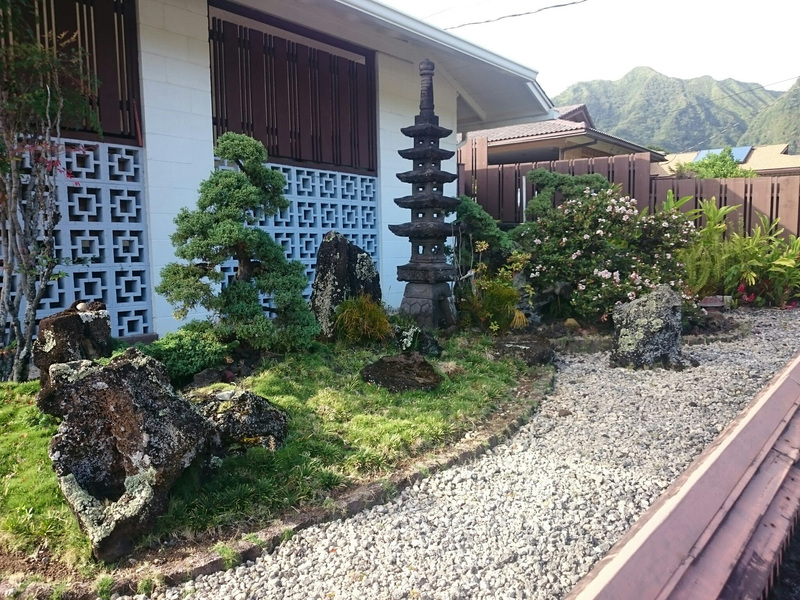 A lot of houses and gardens are nicely arranged in a Japanese style. 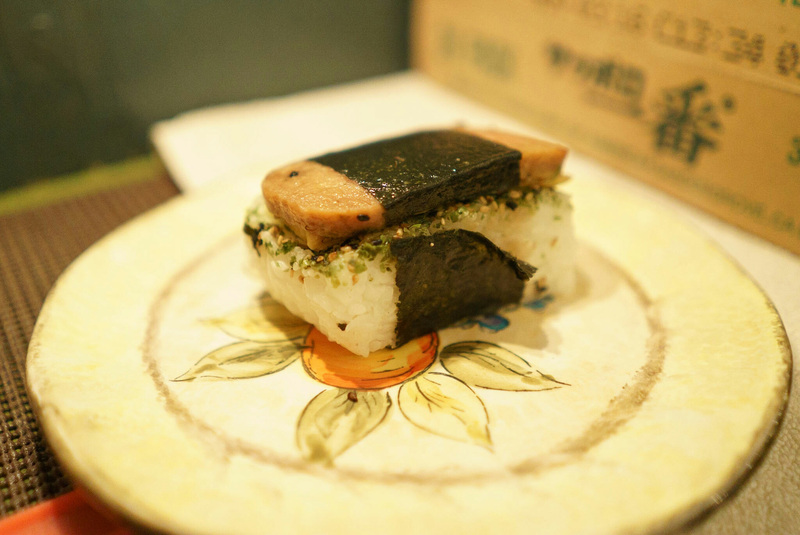 Some Hawaiian specialties are even inspired by Japanese food, like the musubi, recommended by several locals – a block of cooked rice with a slice of spam wrapped in a seaweed leaf – Simon actually tried it, not bad… without the seaweed! All of this gives an interesting mix of cultures and represents a good transition for us before our departure to Japan in a few weeks!